The Low Income Housing Tax Credit (LIHTC) program was created in 1986 and is the largest source of new affordable housing in the United States. There are about 2,000,000 tax credit units today and this number continues to grow by an estimated 100,000 annually. The program is administered by the Internal Revenue Service (IRS). The LIHTC program does not provide housing subsidies. Instead, the program provides tax incentives, written into the Internal Revenue Code, to encourage developers to create affordable housing. These tax credits are provided to each State based on population and are distributed to the State’s designated tax credit allocating agency. 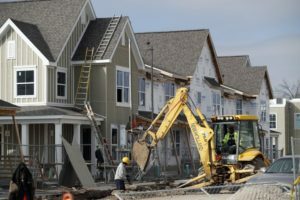 In turn, these agencies distribute the tax credits based on the State’s affordable housing needs with broad outlines of program requirements from the federal government. This is done through the Qualified Allocation Plan (QAP) process. On their own, tax credit subsidies provide a moderate level of affordability through rent restrictions. However, many units or tenancies are subsidized through additional sources of federal or state funding, which allow for deeper affordability to lower-income families. Each State Agency’s Qualified Allocation Plan, Regulations and Compliance Manual. Here is a link to all of the State allocating agencies.